We are a well estalished family run chauffeur car company offering the best limo hire Leicester has available. With clean, well maintained wedding cars and chauffeur cars you can book with us safe in the knowledge that we are dedicated to delivering affordable chauffeur driven cars at affordale rates. If you're looking for a car thats sure to add some fizz to your hen nights, stag night, weddings, school prom or night on the town then allow us to provide the perfect way to travel! With limousine hire packages starting from just £99, chauffeur driven travel has never been so affordable or convenient! Enjoy a ride with friends, share the costs and treat yourself to some unforgettable luxury! 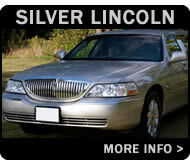 A Lincoln Town Car in smart silver livery with 8 seats available! 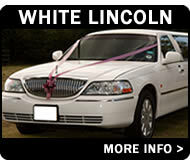 A Lincoln Town Car in brilliant white with 8 seats available! 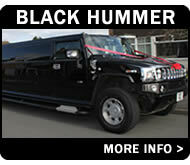 A super sized monster Hummer in black with 16 seats available! 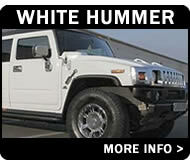 A super sized Hummer in cool white with 16 seats available! 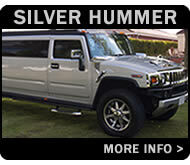 A super sized Hummer in shiny silver with 12 seats available! 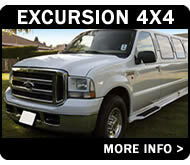 An all American 4x4 Excursion in white with 13 seats available! A Bentley Arnage Twin Turbo in silver - simply the best of British! A Chrysler 300C 'Baby Bentley' in smart black paint scheme with great looks! Looking for something new and exciting? Take a look at the newest addition to our fleet, the Chrysler 300C 'Baby Bentley' with 8 seats and luxury interior! 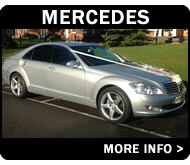 This car is brand new to our range and is available for immediately for school proms and weddings! Every vehicle in our fleet is legal and licensed for bookings - there are many unlicensed chauffeur driven cars on UK roads that are operating illegally and uninsured, so don't take a risk! Book with a trustworthy company and make sure your party doesn't end on a sour note. We are VOSA compliant and our 4x4s and Hummers are COIF (Certificate Of Initial Fitness) approved. Convenient, Professional Service For All Of Our Customers! 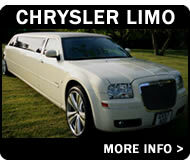 Booking a stretched limousine or chauffeur car with us is an easy, hassle free experience. Simply let us know of your travel plans and we will tailor a package to suit your individual requirements. 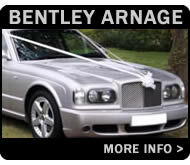 Affordable Leicester Limo Hire Services Whatever Your Special Occasion! Our cars are also available in Nuneaton, Coventry, Bedworth, Lutterworth, Hinckley, Rugby and Wigston. Our comprehensive service includes bookings for hen nights, stag nights, school proms, airport transfers, traditional Church weddings, registry office and civil partnership ceremonies. In addition to social occasions we also cater for journeys to and from sports events, most notably Royal Ascot, the British Grand Prix at Silverstone, the Grand National and Coventry City matches. We are also popular with music and live theatre goers, so whether you're travelling to the O2 in London, the West End or somewhere closer, why not share a limousine ride with friends and arrive in style! 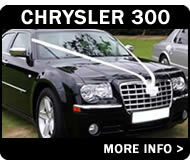 We are now taking bookings for the 2013 school prom season, so we advise customers to book early to avoid disappointment. Don't forget to see our useful tips page to see how you can get the most from your limousine experience! To get a great deal and make a booking today by calling us on 0116 238 9899. Alternatively send an online message or enquiry by using our enquiry form. We check for new messages throughout the day and normally reply to all enquiries within an hour or two! Please complete the form below to ask us a quick question or get a price for booking one of our great limos - we check for new enquiries every day and reply to EVERY message quickly!